The first dealership in the new image program is slated to open in fall, 2018 in Ajax, Ontario. Correction: HGregoire did not build Mitsubishi Vaudreuil from scratch, it recently acquired the dealership. Mitsubishi Canada has tweaked a plan for rebranding its dealerships, meaning its dealerships will have to undergo costly renovations as part of the parent company’s new global strategy, even though some of those stores already complied with a similar Canadian program as recently as November 2017. The new plan comes straight from decision-makers in Japan, dealers say, and supplants a Canadian imaging program that began in 2017. Mitsubishi didn't explain why it made changes to the old Canadian program and went with this new initiative, which will affect 5,000 stores worldwide. It also wouldn't disclose the cost of the program. At least two stores in Quebec were renovated under the old program. Mitsubishi Canada spokeswoman Michelle Lee-Gracey confirmed those stores will eventually need to be renovated again. “This is a new image program aligned with a global image program announced [Wednesday] in Canada and globally from Mitsubishi Motors Corp. It has evolved from the new image reported last year in Canada,” Lee-Gracey said in an email. Quebec dealer group HGregoire, which owns two Mitsubishi stores, is one of the franchise owners affected by the changes. Its Laval store was revamped in November using the Mitsubishi dealer image in effect at that time. It also onws the Mitsubishi Vaudreuil store, which was recently acquired. 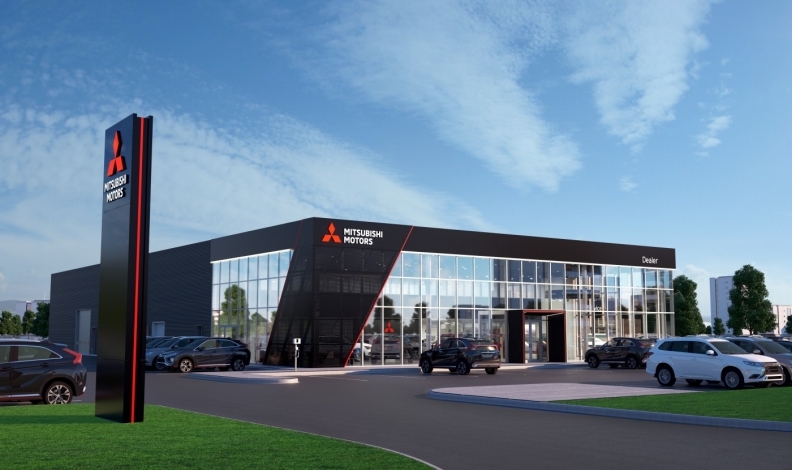 Those stores will be renovated in the future to match this new look from Mitsubishi Canada, starting with Mitsubishi Vaudreuil an HGregoire spokeswoman said. The renovations for Mitsubishi Vaudreuil should start before the end of the year. The first of what was then new-look facilities opened at Rallye Mitsubishi in Gatineau, Que., in April 2017. The program was to be implemented across the country during the next five years. A Mitsubishi dealer in Calgary reached by Automotive News Canada declined to comment on the new plans. The new dealer image program is paid for by the dealer with support from Mitsubishi Canada, Lee-Gracey said. “We will work in partnership with the few dealerships who have recently renovated into the older format to convert them to the new dealer image,” she said. Despite having to renovate his stores, HGregoire President John Hairabedian said he supports the change. “We believe it’s in line with our vision of a redefined experience. We are pleased to renovate our stores in this new image, since we always want to offer the best experience to our customers,” he said in a statement.